You've Gotta Have Art Festival: Join us for this celebration of the artistic talents of WNY. 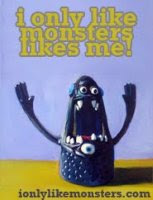 This show features 40 artists and craft artists invited to display and sell paintings, jewelry, ceramics, glass, photography, textile arts and more [MORE meaning awesome knit monsters! :) ] Musical entertainment and refreshments available. Free admission.